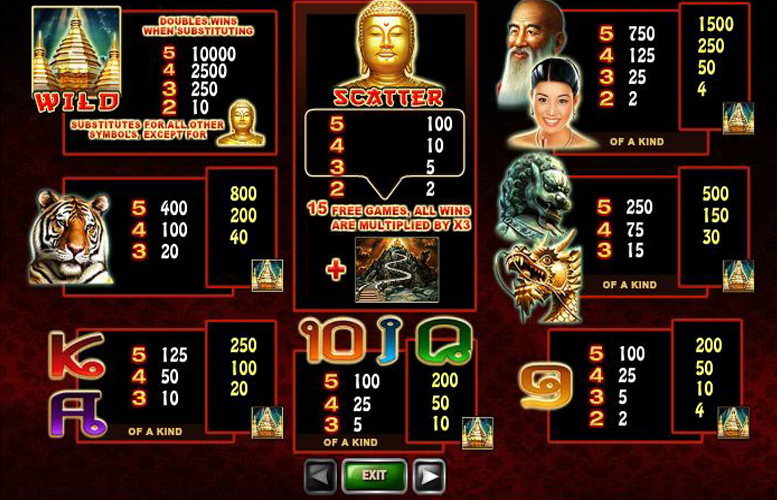 The Thai Temple slot machine from Playtech is another progressive jackpot game that’s set in the East. Unlike some of its peers, however, this game doesn’t solely focus on its enhanced, cumulative jackpots. There are a few other game modes and bonuses present which certainly help to engage players and provide additional replay value. The game itself is visually impressive, with well-illustrated symbols and backgrounds that have of course been inspired by Thailand. In terms of specifics, it’s a three row, five reel game with a total of 15 possible win lines and a maximum main game jackpot of 10,000x the line bet. Progressive jackpots mean there’s potentially lifechanging sums of money on offer. Stylish machine with well-designed symbols and background. The artwork suits the theme and creates an appropriate feel for Thai Temple. Fairly extensive range of features to liven up gameplay. Low return-to-player rating. 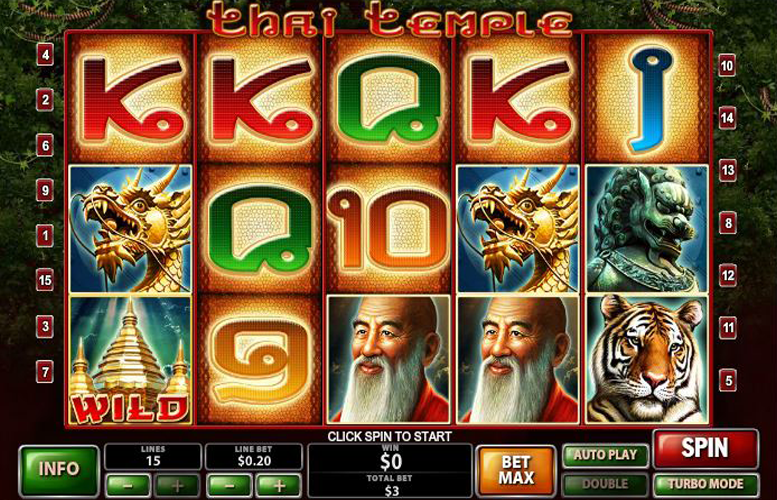 When some slots offer above 97%, Thai Temple’s 93.55% feels stingy. Low maximum bet. Many machines offer players the option to wage up to £2,000 per spin, Thai Temple’s £15 is paltry in comparison. “Wild” Thai temple = 10,000x the line bet. Old man or young woman = 750x the line bet. Tiger = 400x the line bet. Dragon or Lion statue = 250x the line bet. The Thai Temple slot is full of great features that make for an exciting and potentially lucrative gameplay experience for the player. Any win during the game that uses a temple “wild” symbol is automatically doubled and paid out twice the stated value listed on this page. 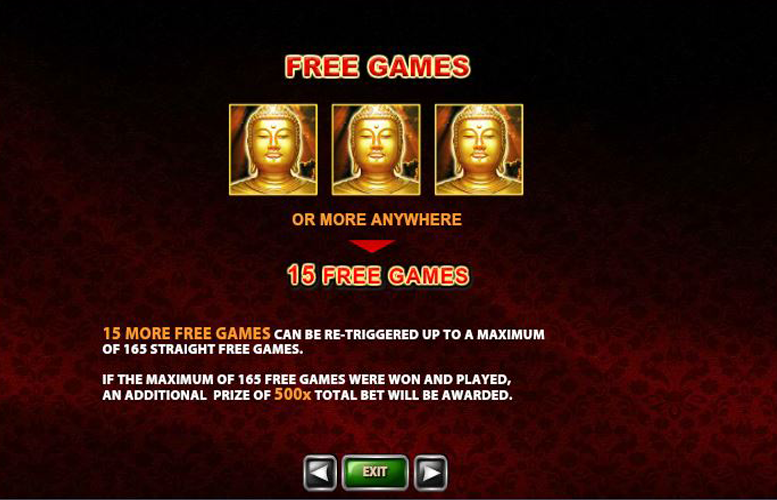 Landing three or more Buddha statue “scatter” symbols anywhere on the reels will trigger 15 free games. What’s more, these games can be retriggered by landing scatter symbols again. This is possible up to a maximum of 165 straight free games. If this maximum is achieved, players will receive an additional prize of 500x the total bet before being returned to the main game. There is a progressive jackpot on the Thai Temple slot machine. Playing the game using different stakes will enter players in one of four different cumulative jackpots. It’s also important that they play the maximum number of lines possible to be eligible. To win one of the constantly accumulating jackpots, players must land five “wild” temple symbols across a winning pay line. If they do not qualify for one of the jackpots, they’ll be paid according to the table above. These progressive jackpots can also be won during the free games mode too. The final game feature of Thai Temple is the option to double up on any winnings by successfully picking a higher card than the dealer in a side game. Players wishing to gamble their prize must first win some funds, then hit “double” located next to the “spin” button. They will then be presented with five cards face down and the option to “collect”, “double half” or “double”. The left-most card is the dealers, and after selecting the amount they wish to gamble (half, or all the winnings), they choose one of the four unclaimed cards. After picking, the dealer reveals their card and the player’s is turned over too. If their card is higher, the player has the same options to repeat the gamble, or collect their increased prize. If they lose, they are returned to the main game with any winnings they may still have. Ace or King = 125x the line bet. Queen, Jack, Ten or Nine = 100x the line bet. 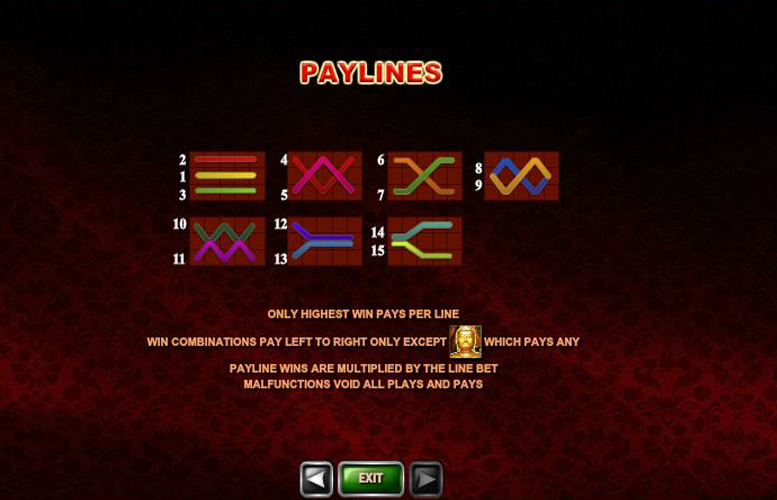 Players can adjust the amount bet per line on Thai Temple, as well as the number of lines they choose to bet upon. Whilst the minimum number of win lines possible is just one and the maximum fifteen, it makes little sense to use the lowest. This is because the progressive jackpot can only be awarded to players using all lines. It’s much more lucrative to bet less across more lines to be eligible for the potentially massive prizes on offer. The maximum bet per line is just £1, and the minimum is 1p. This makes the lowest possible bet per spin just 1p and the largest £15. Clearly, Thai Temple has not been built with the highest rollers in mind. Thai Temple is a fun machine that looks and plays great. Thanks to its progressive jackpot feature, players can win truly lifechanging prizes, and even if they’re not fortunate enough to hit one, there’s still plenty of other features to keep them engaged within the title. Unfortunately, the game does suffer from a somewhat low return-to-player rating. Being three whole percentage points lower than some of its peers might not sound a lot but in terms of slot machine ratings, its huge. This game has a rating of 5 / 5 with 321 total reviews by the users.